Mr. Mike Meredith is managing Director with Generational Equity. He has over twelve years of experience in mergers and acquisitions, working with owners of middle-market companies in implementing their transition plans and optimizing the results. Mr. Meredith has represented diverse enterprises in a broad range of industries and industry sectors, including a number of manufacturers, distributors, and business-to-business services companies. 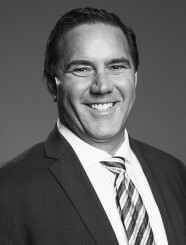 In addition to his hands-on transaction experience, Mr. Meredith has also been involved in numerous business valuation assignments and has experience with initial public offerings, as well as in raising capital for mid-sized companies. His solid business experience provides Mr. Meredith with the expertise and knowledge necessary to advise clients on planning and implementing transition strategies tailored to their personal, business and financial objectives. Prior to joining Generational Equity, Mr. Meredith was a senior advisor for a boutique Investment Banking firm where he represented middle-market business owners in the sale of their companies. His experience also includes serving as a Vice President in Citigroup’s middle-market valuation and M&A practice group. An entrepreneur in his own right, Mr. Meredith purchased, developed and subsequently successfully sold a business in the food and beverage sector. Mr. Meredith received an MBA from The Paul Merage School of Business at the University of California at Irvine, as well as a BA in Economics from the University of California at Irvine.